Terramac expands its representation in the North American market to include Alta Equipment as part of its dealer network. Terramac, a manufacturer of rubber track crawler carriers, expands its representation in the North American market to include Alta Equipment as part of its dealer network. Alta Equipment will represent the versatile Terramac product line in Michigan and northern Illinois. 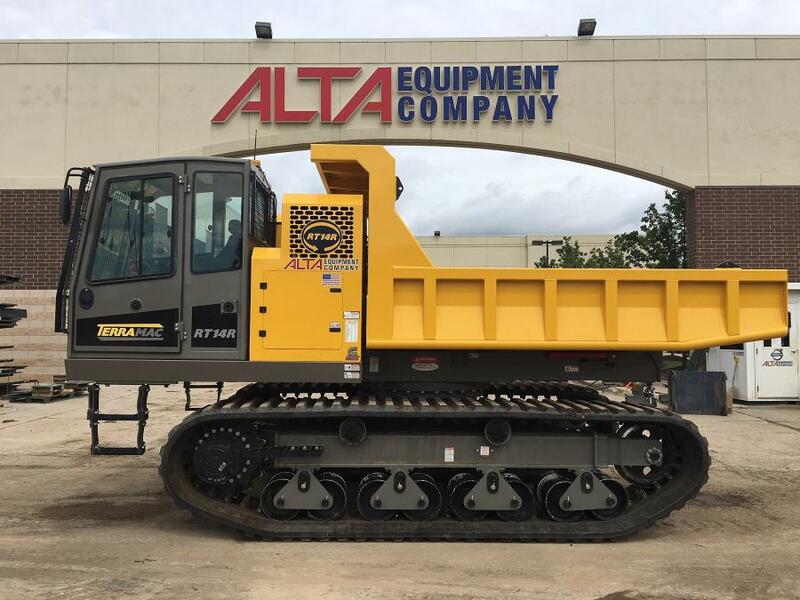 Alta Equipment will offer the Terramac RT6, RT9, RT14 and RT14R crawler carriers to serve a wide range of industries including general construction and environmental. In addition to Terramac's three standard options — convertible dump-to-flat beds, rock dump beds and flatbeds — Alta Equipment will offer Terramac units customized with support attachments such as cranes, personnel carriers, vacuum excavators and hydroseeding units. With the addition of the versatile Terramac product line, Alta Equipment plans to expand into other markets including utility, forestry and waste management. The team at Alta Equipment will provide professional sales, rental and aftermarket support on the Terramac product line across nine branch locations in the midwest. Alta Equipment's knowledgeable staff has been fully trained in the application, sales, parts and service of Terramac crawler carriers and stands ready to offer prompt and professional customer support. Alta Equipment Company is a provider of construction equipment machinery throughout Michigan, northern Indiana and Illinois. With 30 years of industry experience and full-service dealership locations, Alta Equipment is well-positioned to help fulfill construction equipment requirements. Alta Equipment offers Terramac crawler carriers for sale or rent as well as full service maintenance and parts. For more information on Alta Equipment or to find the nearest location, call 844/219-2582 or visit Construction.AltaEquipment.com. Terramac LLC, based in Elburn, Ill., was established to produce the world's leading crawler carriers. Units are sold through a full dealer network which offers customers easy-to-locate parts and service throughout the world. The units can be customized with support equipment to serve many industries such as pipeline, utility, mining, environmental, general construction and more. For more information, call 630/365-4800 or visit Terramac.com.